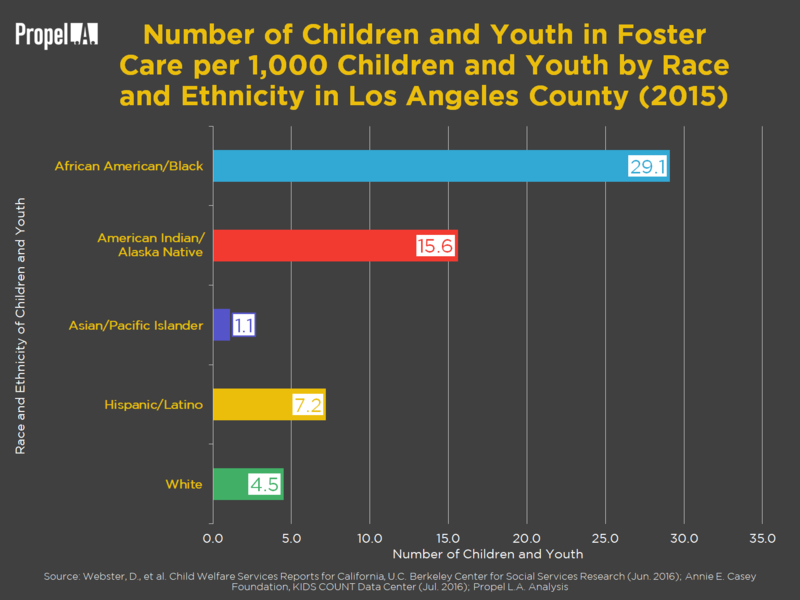 Foster Care in Los Angeles County | Propel L.A. 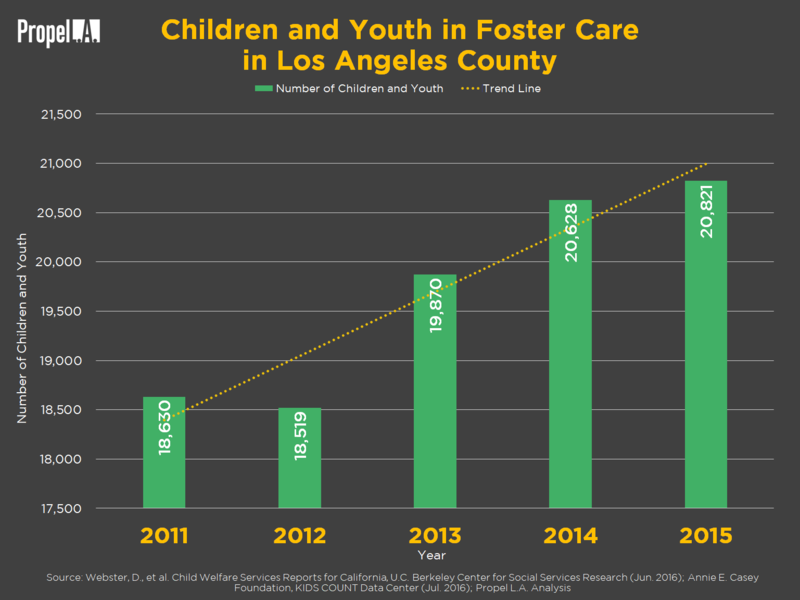 The overall number of children and youth (up to age 18) in foster care in Los Angeles County is growing on average. 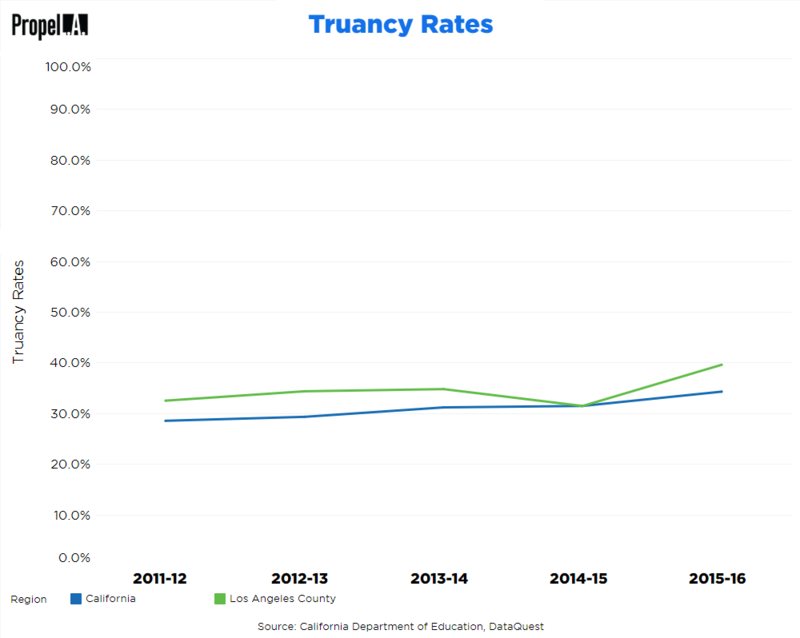 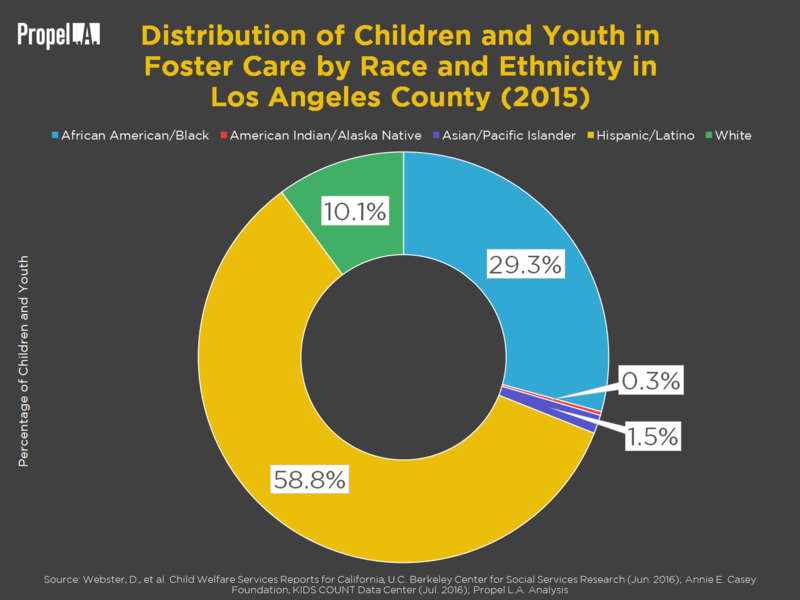 The most recent data from Child Welfare Services Reports for California in 2015 reveals that Latino children make up the greatest percentage of children in foster care, followed by African Americans. 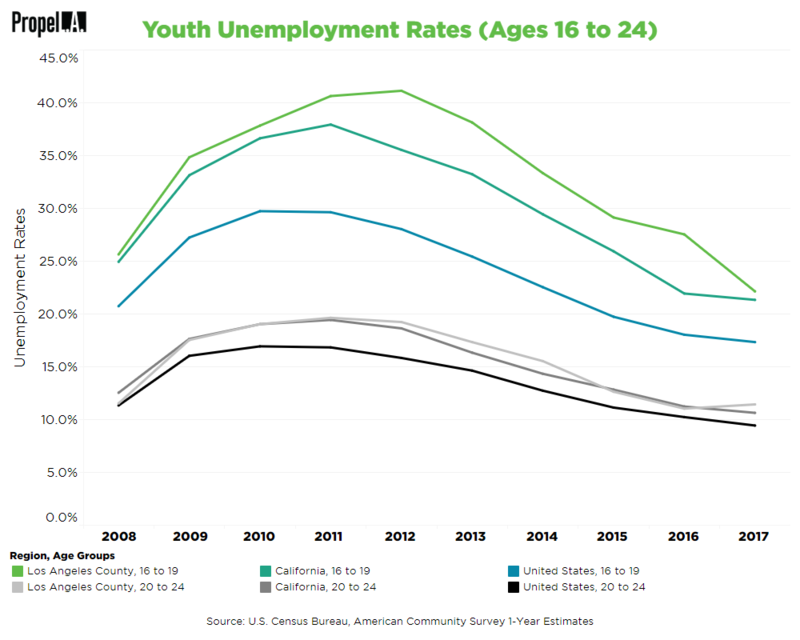 Meanwhile, African American children make up the largest group in proportion to their population size, followed by Native Americans.